1. Go to the Clients tab and the Invoices to Clients table. 2. Click the 'Mass Invoicing' button. 3. 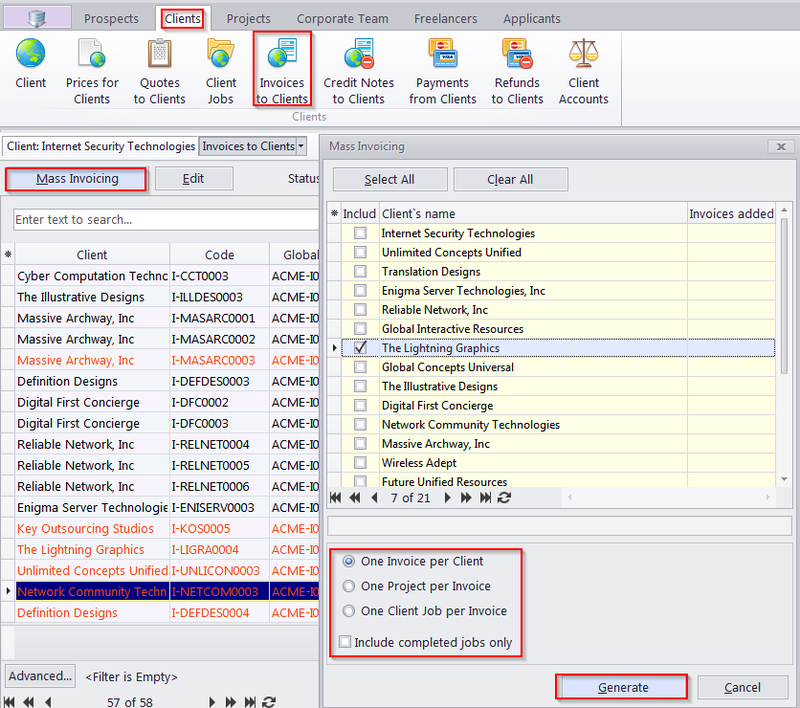 Select a client and all required mass invoicing options (see Picture 1).